It didn’t take an act of Congress to start Carol Dresser and Hallmark Health implementing advanced clinical technologies. Hallmark — which includes Lawrence Memorial Hospital, Melrose-Wakefield Hospital, Hallmark Health Cancer Center and Hallmark Health Medical Center — is now working to increase adoption of CPOE and perfect its bedside bar coded medication administration processes. What HITECH has done to the organization — as it has to every other health system in the country — is caused timelines to be shortened and new projects to be piled onto old. Injecting technology into that mass of moving parts, patients and physicians is Dresser, the organization’s VP of information services (Hallmark does not use the title CIO, though she functions in that capacity). 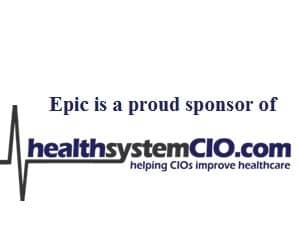 To learn more about how the organization will hurdle the Meaningful Use bar, healthsystemCIO.com editor Anthony Guerra recently caught up with Dresser.